Just got word from Honey Buttons Nail Polish, that my custom polish is ready to go. Im so excited! Here’s a sneak peek that she posted on her instagram, of my cheer themed nail polish! 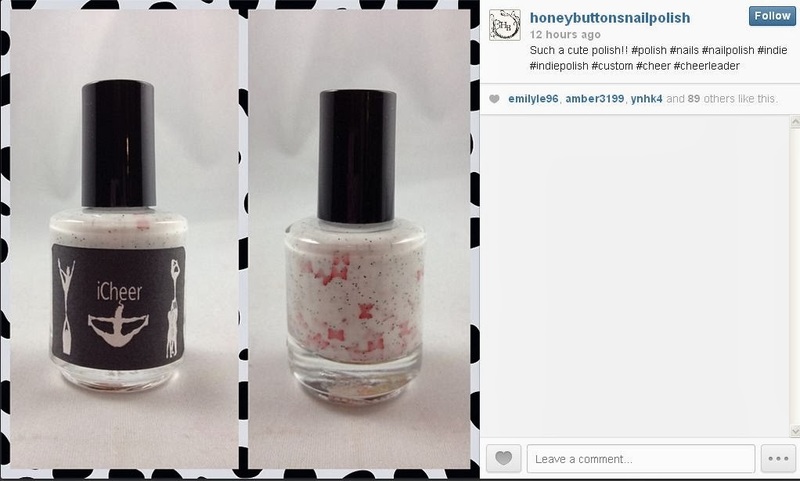 From Honey Buttons Nail Polishes Instagram. Can’t wait to post a review and a whole of close-up shots! Next Post AMAZING Deborah Lippmann Sale!